COLLINGWOOD, ON – Side Launch Brewing has announced details of a new limited edition holiday seasonal that will be released soon. A very strong dark wheat beer, technically a Dunkelweizen Dopplebock. Very fruity, estery, notes of chocolate, pear, banana, orange and clove with alcohol evident. This style embraces low hopping rate. 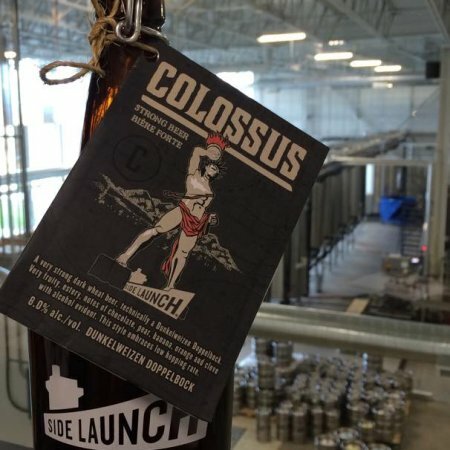 Colossus Dunkelweizen Dopplebock will be available in a limited run of 1 litre growler bottles exclusively at the Side Launch retail store and select licensees.